Whereas Ladner Sushi and Go-Go Sushi each had one table of diners, all of the tables were filled at Maguro Sushi except one. As it was only 5:30 p.m., I was surprised that they still offered me a table all for myself. The prices, as well as the fact that the waitresses spoke Mandarin, also surprised me. I was pretty sure they weren't attracting customers based on their prices, so I was hopeful that the quality would be superb. The decor was nice and had a traditional Japanese feel. The Appetizer Tempura, which consisted of two prawns and one piece each of kabocha, sweet potato, potato and carrot, arrived very hot. The batter was missing a crunchy, flaky texture and ended up being a bit soggy from too much grease. 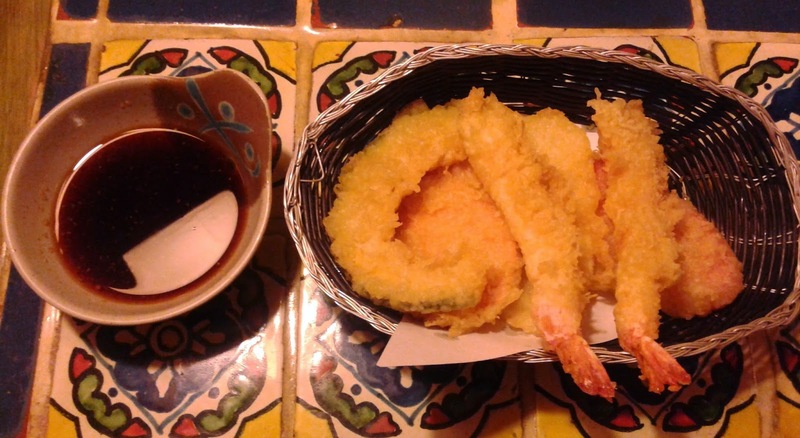 My favourite of the bunch was the Prawn Tempura, which contained large prawns and were quite meaty. I wasn't a fan of the kabocha, which was cut too close to the edge, or the potato, which was sliced less than 1 cm thick and tasted like plain batter. I overheard several tables talking about the Woonia Roll, so I decided to try it myself. 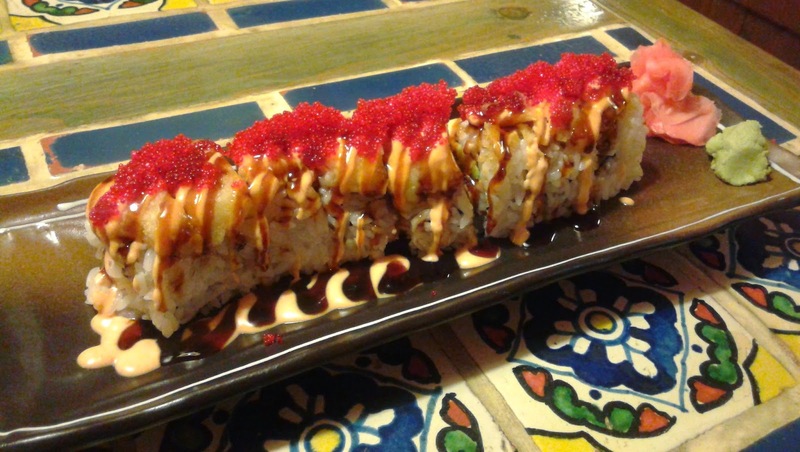 The roll consisted of spicy chopped scallop, deep fried halibut cheek, and tobiko. The roll had a nice balance of flavours and I liked how the spiciness did not overwhelm the flavours of the chopped scallop or the halibut cheek. There wasn't that much halibut cheek, but the batter provided a nice crunch. I found the spicy chopped scallop to be too creamy, mainly because it was cut into very small pieces and kind of just "melted." The Amaebi Nigiri (sweet shrimp) had a nice sweet flavour like ika (squid). The Unagi Nigiri was savoury and had a nice grilled flavour, as if it was grilled on a plank. The Toro Nigiri didn't have a lot to give in terms of taste, but it had a smooth texture and was sufficiently soft. The Salmon Nigiri was made with wild sockeye salmon, but it was lacking the refined, smooth texture of high-quality sockeye. The nigiri I had were not large, but the fish-to-rice ratio of each piece was spot on. 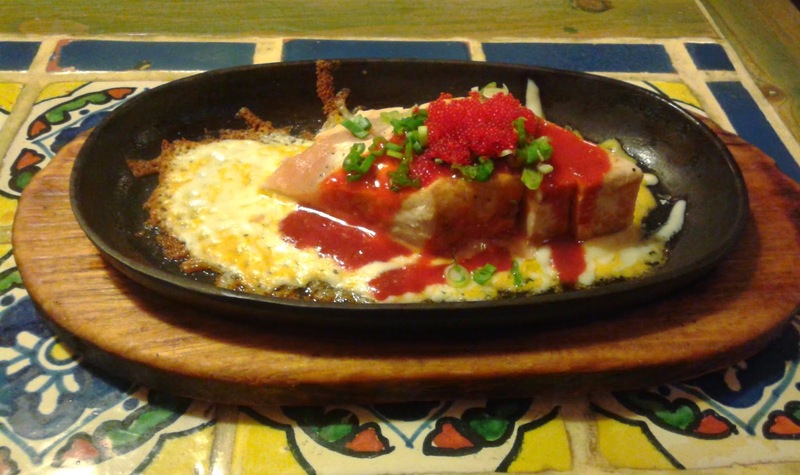 The Oyster Motoyaki was interesting because it had a goma-ae as its base, with peanut butter dressing! I still prefer the cheese-based motoyaki better as I felt that the peanut butter slightly overwhelmed the flavours of the custard and the oyster. 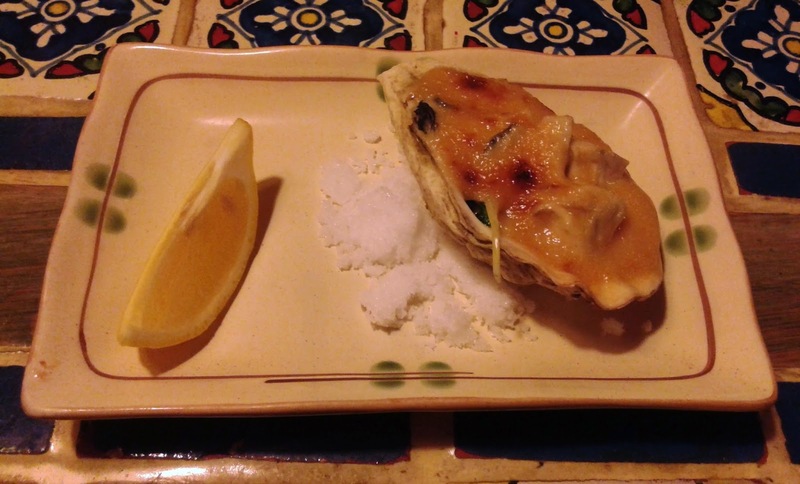 The oyster was soft with none of the darker green part present. I then tried the white stuff sitting beside the oyster. Let's just say that ingesting 100% of my daily recommended intake of salt all in one bite wasn't the most pleasant experience ever. The highlights of the meal were the nigiri and the Woonia Roll, while the other items were quite mediocre. The waitresses rarely smiled and my tea wasn't refilled, but I had less trouble flagging down a server than I usually do at other restaurants. 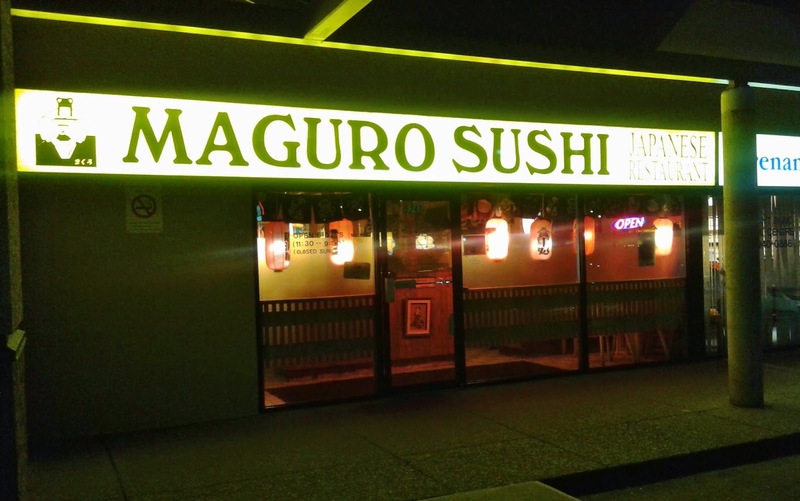 I went to Maguro Sushi looking to experience the captivating, memorable visit I had there three years ago, but unfortunately, things seem to have gone from stellar to just average.